Making sure that my clients’ websites have their fair share of inbound links is a challenge, but even more of a challenge is monitoring the quality of those links is becoming a task that only a person with 80 fingers can manage. As a business owner and your online presence is important to your business, it is imperative that you manage your inbound link quality and quantity. The problem lies in determining how much time to spend on inbound links. These links come from other sites back to your page. They are referred to as incoming links, back links, inlinks, and inward links. Caring about the quality and quantity of inbound links is important because it is an imperative manner in which your website is found online. Our article Backlinks, Good vs. Evil – The True Breakdown, showcases the good and evil in back links. In order to have your website found, you must rank high on search engines. In order to do this you must utilize SEO which includes inbound links. Inbound links have quickly become one of the biggest indicators of the quality of your website content. As such, inbound links are an important facet of keeping a high rank among search engine results. This begins with getting links posted on relevant directories. But be cautious of using back-link repositories. Search engines are improving to notice when people are using link brokerage services or spamming their links all over the internet and website owners are being penalized. Those sites which are found to have these spam links receive a low quality rank. The more low-quality ranks you have the lower your site will rate overall. In order to improve your rank and manage your inbound links you want to make sure that they are relevant links and are engaging. They should be integrated into keywords inside of high quality content rather than merely posted at the end of an article en masse with many other links. The quality of the link should come naturally to your site through compelling service, thus offering a unique service to customers. You can better manage your inbound links by posting them into quality blogs or presentations upon which people can share or comment. Building high quality inbound links includes links from search engines, links from referring sites, and links from direct traffic. Prior to searching for inbound links you want to determine where your site stands with tools like Open Site Explorer or Site Explorer. You can also utilize Google Analytics to produce a comprehensive view of your inbound link quality over the past six months. You can verify “nofollow” links which are active inbound links which are not noticed by search engines. “nofollow” links will bring traffic to your site when people click on the links but they will not help your search engine rank. These are generally links included in blog comments where the owner of the site has not allowed you to include a link with your comment. This essentially means the owner of the website is not vouching for your link. You can monitor good inbound links by posting only through good sources. These include things such as writing guest articles for other publications, or writing blog posts. These will both have a brief bio and link to your website. Other good inbound link sources include directories, online news release and article sites, vendors, suppliers, business allies, and sponsorships, charities, and associations. Another great location for inbound links includes social networks. FOR Hotshot SEO, writing excellent quality content and expecting Google to list it on the first page of the search results is just not enough. We need to consider some technical aspects and adjust some elements and work in a smart way. The secret is comprised by on-site SEO and off-site SEO, two branches of search engine optimization. Off-page optimization holds around 90% of web page rankings, but on-page optimization still has its role in the ranking power. They guidelines for on-page SEO will be explained further in this article. Title Tag: The Title tag is very important in obtaining great SEO. It is one of the most important things in on-page optimization. The reason is because the title tag represents the first communication between the webmasters and search engines. It is the channel that allows search engine robots to find what a web page is all about. To write a compelling page titles, you need to place the keywords within the first visible 65 characters and finish it with the name of your website or your brand.By doing this, you have started to build relevancy of your website, so that the search engine Bot will be able to know the key terms of your website. To express the association better, you can place the pipe symbol between the page title and the site name. You have to remember that getting listed in the first position of search results is only half of the mission. The other half is how to make people click the link and visit your website. Keywords Density: Many people wonder the proper percentage that they should put within articles. Keyword density is not really an important thing. However, you can consider putting the keyword in the beginning and the end of your paragraph. The suggested amount of keyword is 4%. There is other relevancy metric called LSI terms that Google use. LSI terms are group of words that are associated with the same contexts. Meta Keywords and Description: You should use keywords and LSI words in your content, and keep them at around 7 to 9. A description tag should contain the further explanations of the things in the title. Try to mention some details about the benefits offered by the web page. It is not a good idea to fill it up with the Meta keywords because that will let your competitor to know your targeted keywords. You should make your contents well structured using Headers from H1 to H4. You must not use more than one H2, two H2, two H3, and one H4. Keywords: Put your keywords in H1, but be careful because the header tag is very spam sensitive. You should emphasize your target key terms using Bold or Italics. Using one per article is enough. One other thing that you should do is to put meta-image tags for the relevant pictures that you put on your web page. One great wordpress plugin is the All-in-one-SEO pack. It offers great SEO capabilities and a unique way for allowing you to tweak your page’s SEO. Referring Other Quality Content to Gain Trust: Find some trusted websites and link to them with keywords and phrases as the anchor text. Spread the links on relevant articles that you have get increase your SEO. Search Engine Optimization is an effort to make a website rank higher on the search engines SERPs (search engine results pages) so that potential customers can find it easily. Most internet users never open the 3rd, 4th, or further pages. They only visit the websites listed on the 1st or maybe 2nd page of the search result pages. Most business people don’t understand the concept of search engine optimization, and the things required to make their websites have good page rankings. 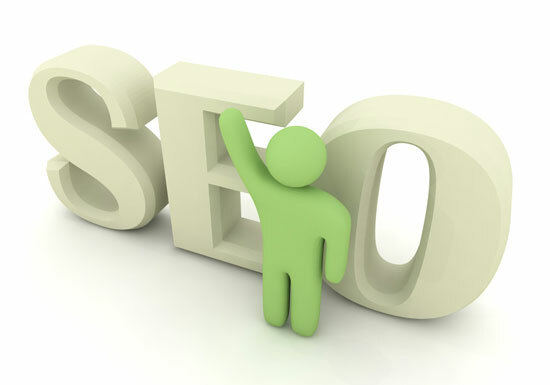 This is also caused by the fact that search engine optimization is intangible and complex. Search engine optimization can also be very expensive and time consuming, so that most small businesses ignore it. Seeing the fact that search engine optimization is unknown for most business people, we need to simplify it. Search engine optimization can bring a lot of benefits and ROI to companies that applies it, because it has the lowest long term customer acquisition cost. A company that understands the importance of SEO can work on it internally or cooperating with an experienced Internet Marketing Consultant. SEO Relevance The search engines are actually brokers that help internet users to find the contents that are most relevant to what they are looking for. Achieving SEO relevance can be done through on-page SEO by focusing on content quality and metadata to make sure that the contents are search engine friendly. This method is known as “Content Optimization”. Good aligned contents will boost a website’s rankings in the SERPs. There are more detailed steps to be done in this “On-page” SEO that can be found in later articles. The search engines don’t just make sure that a website is relevant to what is being searched by an internet user. It also needs to make sure that a website is popular, credible, and authoritative. “Off-page SEO” is basically about accumulating links, or having a website’s web address mentioned on many other websites throughout the web. If other websites are willing to link to a website, then the website must have some sort of authority or good content quality. Of course, there are so many things that can be done in order to get many links. To have good rankings, a website must have a good combination of “On-page” and “Off-page” SEO so that it can establish its Relevance and Authority. The search engines are using their own algorithms, but basically they are considering the combination of Relevance and Authority. Search engine optimization experts have many different opinions about this. Some say that getting links is the most important thing, while others say that well aligned content with keywords and Meta tags are more important. The truth is that we need to integrate content creation and link building. If one of them is ignored, then the website will never be able to get good rankings and traffic that can generate sales. So to get the best Search engine optimization (SEO) results, we must focus on Relevance, Authority, Content, and Links. New website alert! Just completed www.eFishingGuide.com. To be able to make it to the first page of Google and other search engines, you should be able to know how to optimize your webpage. Your webpage should be prepared once search engines look in to your website. The preparation that your website need is termed as Search Engine Optimization or SEO. In the first stages of web creation, you should already implement SEO. This means that you should keep in mind to put keywords in meta tags and titles of your webpage. Your domain is also an important part of SEO. Choose a domain name that include the keyword of your choice and you are sure to get presence in search engine results. Each of your webpage should be unique and different from one another. Search engine loves original and fresh content so make sure that you update your site every so often with new and unique content. Each webpage should also be optimized with keyword rich titles, tags and content body. Although you should be aware of search engine algorithm and optimize your website for search engines, keep in mind that you are offering content and information to real individuals. Create a professional and readable content for your visitors. Unprofessional websites with poor content are stricken as bad sites by search engines and may be over passed by search engines. Keywords are very vital in search engine optimization. For each of your web page, it will be a good idea to focus on a single keyword. You can go for a different related keyword on the next page and so on. For example, you can use ‘vegetable gardening’ on page one and optimize the keyword ‘Japanese gardening’ on page two. Avoid redundancy and make sure that your content does not in any way look spammy. Your keywords should be strategically placed in your web page including in the page title, body, meta tags, headings, links, bullets and images. If you want to have a high page rank, give attention to your content. You should be able to provide high quality articles and content to your visitors. Search engines do not give much credit to a nicely designed website in terms of graphics but they give more consideration to the content you are providing your visitors. Post on a daily basis if you can and make sure that you offer unique content. Duplicate content are not read by search engines and can possibly get your website penalized. Keeping the above tips in mind will not only keep your readers happy but will also give you visibility by increasing your page rank and SEO. With a high page rank, you can assure more traffic to your site which you can easily monetize in to big profits. You will not reach page one over night but with enough patience and hard work, you are sure to harvest the fruit of your labor regarding SEO.